As seen in Manufacturing Today, Jim Harris discusses the benefits manufacturers have experienced by adopting GD&T into their process. Digital GD&T can help manufacturers reduce scrap, rework and part non-conformance, and increase overall part quality. “Companies that are ahead of the game in using [digital GD&T] are seeing a competitive advantage in costs, quality and time to market,” Reese adds. Automotive and aerospace manufacturers are leading the way with the application of digital GD&T technology. Applying digital GD&T to frame rails, aircraft skins, fuselages and body in white assemblies, these manufacturers are able to accurately simulate part and process variation and then take steps to control and reduce its impact on the final build. The GD&T language defines the part variation, which manufacturers use to determine how to make each part. “Our [3DCS] system uses that information in the tolerance analysis model to predict and verify that the part’s tolerances can meet the assembly requirements,” Bell adds. Software analysis tools like 3DCS are installed either on a workstation or on a company’s server. 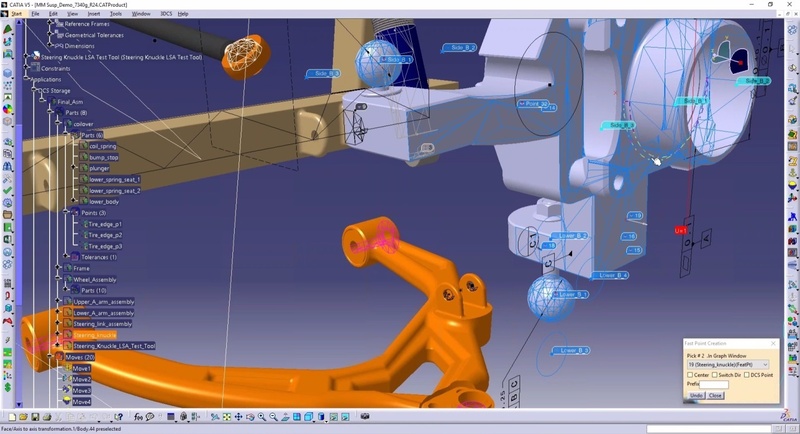 Functioning as a plug-in for the company’s existing 3-D computer-aided drafting (CAD) software, these tools add key simulation and analysis to existing CAD models. By incorporating the manufacturing GD&T and CAD model in an integrated environment, engineers and designers have the ability to design to manufacturing requirements, produce validated GD&T for the plant and predict production issues with simulation models all from within their familiar CAD system. DCS’s 3DCS technology is fully integrated within well-known CAD platforms. 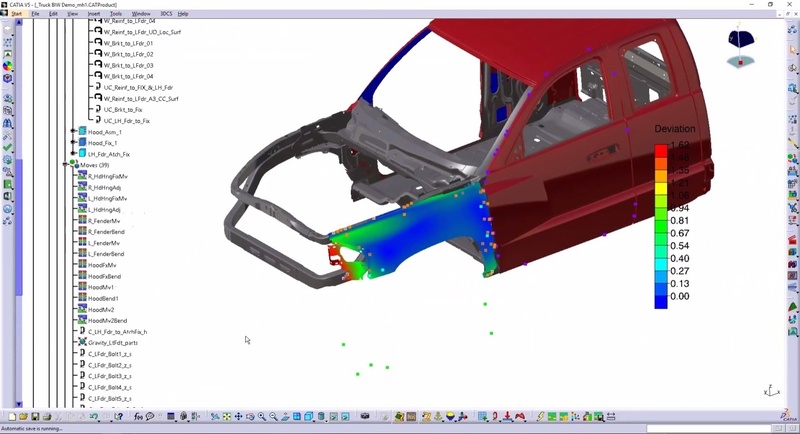 These include Catia, Siemens NX and CREO. DCS also offers a multi-CAD version of 3DCS that functions as a standalone tool by importing CAD data. Like its counterparts, 3DCS Multi-CAD uses embedded GD&T to simulate part variations and display potential build issues. In addition to incorporating GD&T within the 3DCS platform, DCS also offers clients training and consulting services so they can best use the language within their operations. This includes two 20-hour courses covering basic and advanced GD&T. 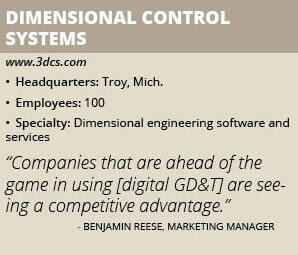 “There are a number of reasons to adopt GD&T at your company,” DCS says. “GD&T provides a clear and concise method for defining a reference coordinate system on a component or assembly that can be used throughout manufacturing and inspection. GD&T also offers manufacturers dramatic time savings and can be used within accepted design-for manufacturing methods.